St.Mary's Chapel, Abercromby St. junction of Forbes St. The house to the left is the Priest's accommodation.. 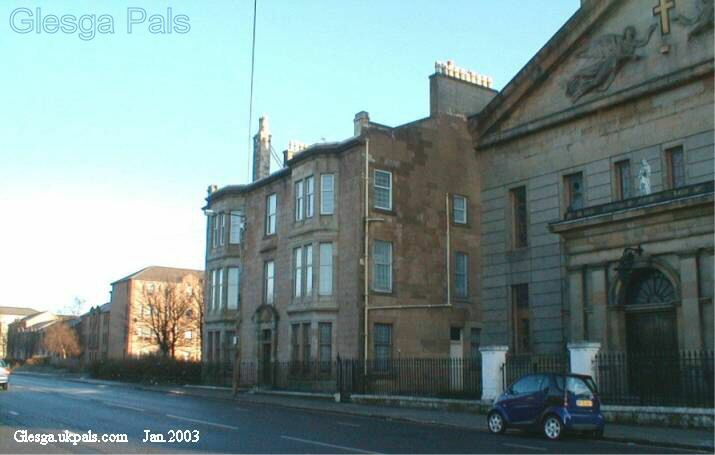 The old tenements to the left of the chapel and across the road have been replaced with modern flats. ..... I have been in Canada for 36yrs ........when I am hame I can't wait to get doon the Barras take a walk alang Argyle St and visit the Gallowgate. I can reminisce till my hearts content. 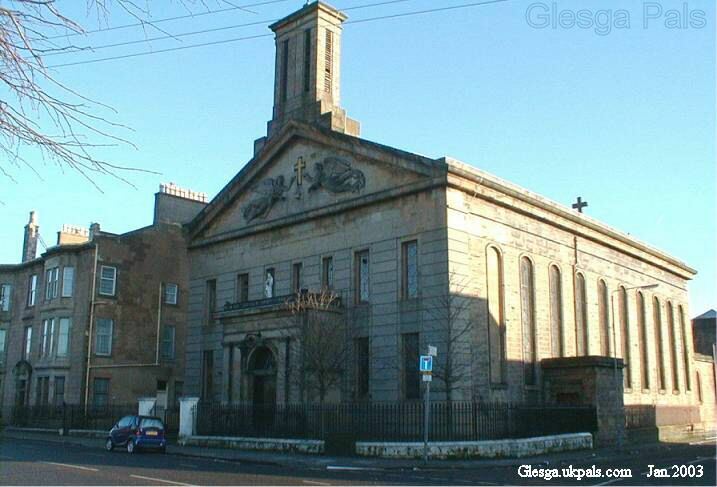 At the turn of the 19th century the Catholic population of Glasgow and its surroundings grew rapidly with the arrival of many Irish people seeking work in the growing number of factories, mills, and construction works. This was later to be boosted by those escaping the famine. 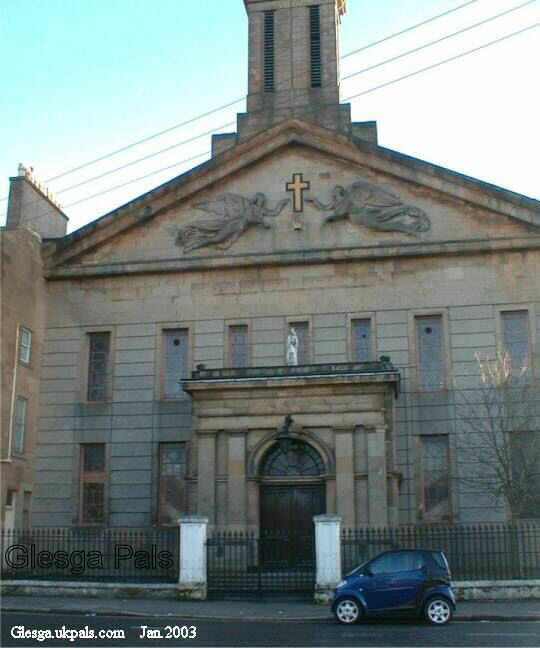 The Church of St Mary of the Assumption was opened in August 1842 in present day Abercromby St, to serve the new congregation in the east-end and was only the second Catholic church to have been built in the area since the Reformation. In charge of the new mission was Father Peter Forbes who served for 30 years and is remembered by Forbes St ."St. Mary's was the base for many good works in relation to the welfare of young Catholic people in the east-end. It is particularly remembered for the foundation of Celtic F.C. in 1888 by Marist Brother Walfrid in the Orr St halls. The club was originally intended as a means of raising money to feed needy children under the "Penny Dinner" scheme. Celtic's arch-rivals, Rangers also originated in Glasgow's east-end at nearby Glasgow Green." " Congratulations, the work you have done on the site since I first looked in has been wonderful. I was overwhelmed when I saw the pictures of Abercromby Street the number of times I stood at that tram/ bus stop and the memories it brought back to me.I shed a few tears as soon as I saw it I will print if off and show it to my mother and my family, and also St Mary's Church that brought back many memories as my Auntie lived just across the road from it." "Hi Wull. I cant thank you enough for the pictures of St Marys, I finaly got them up..you know where they will be going ,,,,I will frame them ...I made my first communion and confermation in St Marys .my ma/da were married there .thanks again... anne"